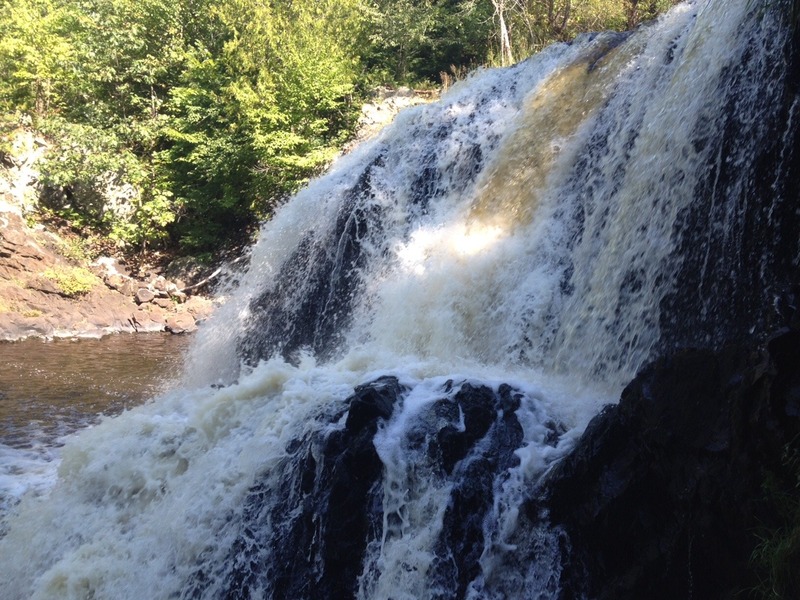 Interstate Falls is an 18-foot waterfall on the Montreal River, along the border between Wisconsin and Michigan. It is located just west of the city of Ironwood, Michigan along US Hwy 2. 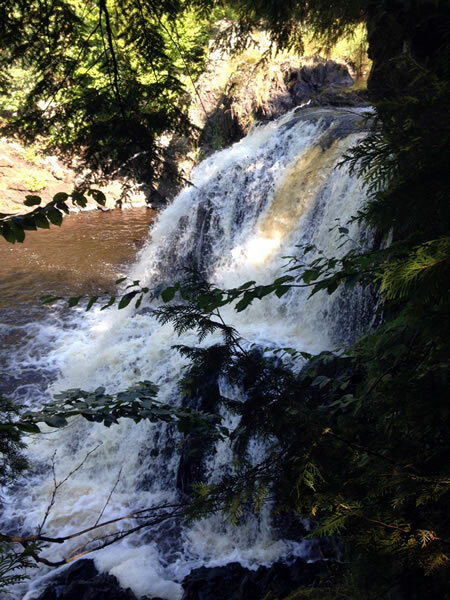 A 0.3 mile trail through hardwood-hemlock forest leads to the falls, and is a popular attraction to residents and visitors of the Gogebic Range. Interstate Falls is also known as Montreal Falls and Peterson Falls. 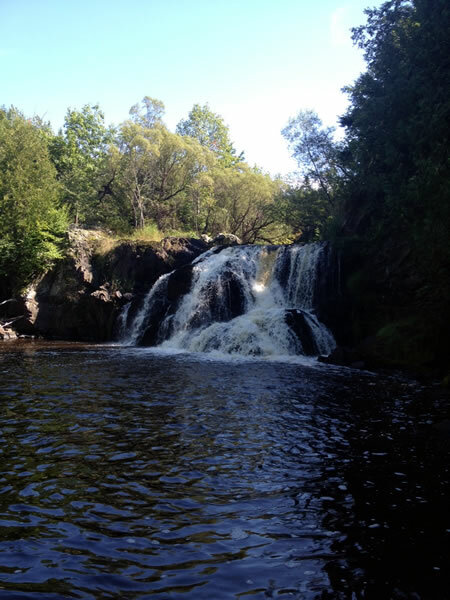 In June 2007 the US Geological Survey officially recognized two waterfalls on the Montreal River near Ironwood and Hurley. Peterson Falls is a set of three cascades, and is approximately one-half mile upstream of the larger Interstate Falls. 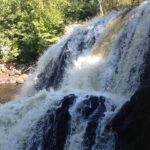 To visit the falls, look for the small “Peterson Falls” sign on the north side of US Hwy 2, on the Wisconsin side, about a quarter mile west of the state line. Follow the unpaved road (Center Drive) a quarter mile to the trailhead. The trailhead is not well marked, but is located just before a sharp bend to the right and has room for two parking spaces. Follow the trail to the north to visit Interstate Falls.